The main source for Brazilian civil law is the Civil Code, dated as of 2002. The administration of justice has undergone some improvement with the implementation of virtual procedures at all levels; it is still very slow, but becoming faster every year. Alternative methods of dispute resolution are gaining more and more importance. In fact, arbitration has become the first option in dispute clauses in many commercial agreements and mediation in business disputes is usual in some sectors, such as construction services. Law 13,140/15 introduced general provisions regarding mediation in Brazil and its use has increased in the country in recent years. The Brazilian economy is large by almost any standard and plays host to many diverse activities. There is also still state and semi-state participation in many strategic sectors, such as transport and infrastructure. Some business sectors are limited for foreign investors. A recent Provisional Measure No. 863, enacted by President on 13 December 2018, increased the participation of foreign investors in airline companies from 20 per cent to 100 per cent. Although the Provisional Measure is effective from the day it was issued, it must be confirmed by Congress in 2019 to be definitively inserted in the Brazilian legal system. The main concern of foreign investors in Brazil is dealing with a very complex tax system, with laws enacted on three different federative levels (federal, state and municipal). A tax reform is expected in Brazil for the following years. Among many proposals there are initiatives to simplify the Brazilian tax system by unifying five different taxes (ICMS, ISS, IPI, PIS and COFINS) into one federal value added tax. It is not possible to anticipate when the tax reform will happen, but it will surely improve business in Brazil. By the end of November, the federal government enacted Federal Decree 9,580/2018 with a new consolidated income tax ruling. This new ruling is an attempt to facilitate the access to income tax rules that are spread across more than 400 laws and regulations. The Brazilian economy is still suffering from crisis, which was connected with a long political crisis. Inflation is settled at lower levels and the recession has stopped, but the unemployment rates are still a problem. There is an expectation of improvement with the new presidential government to initiate in January 2019. In addition, the recent elections renewed a great part of Brazilian Congress, which gave good expectations for the years to come. Undoubtedly, the following years will be a positive time for businesses in Brazil. The economy will continue to grow from a very low base, and it is going to take some time before the benefits of growth have an impact on the lives of ordinary people. However, for foreign investors now is the best time to be part of this growth. For foreign investors, the most common form of doing business in Brazil is through a corporation/subsidiary (SA) or a limited liability company (Ltda). Branches in Brazil require authorisation from the Ministry of Justice and receive no special treatment compared with a subsidiary regarding tax, labour and civil obligations. Income in Brazil is taxed by corporate taxable income (IRPJ) and a federal social contribution on profits (CSLL). There are two basic forms of assessing a company's income tax and social contribution on profit: through the actual taxable profit or the presumed profit method. 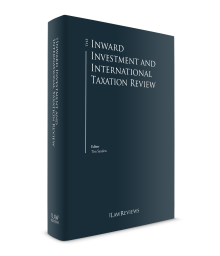 In an actual taxable profit assessment, IRPJ is calculated under a system whereby a single income tax rate applies (15 per cent plus 10 per cent surcharge on annual taxable income above 20,000 reais per month in the period). It is calculated and paid on an annual or quarterly basis. The CSLL is calculated on the net profits, at a 9 per cent tax rate and its tax basis is the same as for IRPJ. For some activities there are different CSLL rates, but the higher is 20 per cent. Advanced payments calculated as a percentage of gross revenues are required if the taxpayers opt for an annual assessment of IRPJ and CSLL. On the other hand, corporate taxpayers with gross revenues not exceeding 78 million reais (or 6.5 million reais multiplied by the number of months of activity, if less than 12 months) may opt for an estimated profit assessment. In this method, the 15 per cent rate (plus 10 per cent surcharge) is calculated on a percentage of quarterly gross revenue after minor adjustments. The percentage varies according to the company's activities from 8 per cent (commercial trades) to 32 per cent (services providers). In any case, some gains are always submitted to the actual taxable profit method and are not included in the presumed tax basis, as explained below. As previously mentioned, the most common forms used to incorporate a legal entity for the purpose of business organisation by local and foreign investors are SA and Ltda. Both can be wholly foreign-owned, and all foreign investments in Brazil must be registered with the Brazilian Central Bank (BACEN) in an electronic system known as RDE. In a Ltda, the number of quota holders may not be fewer than two (legal entities or individuals),2 whereas an SA may have only one shareholder. In both cases, if a quota holder or shareholder is a foreign entity, a representative domiciled in Brazil should be appointed by means of a power of attorney to an individual resident and domiciled in Brazil, which must be certified and apostilled3 (Hague Convention for recognition of foreign documents) before the originals are sent to Brazil. Furthermore, the foreign quota holder shall be registered with the Brazilian Taxpayers' Registry (CNPJ) and BACEN. The 'natural persons' who are the ultimate beneficial owners of the investments must inform the tax authorities demonstrating all the chain of control until the individual level that exercises control or significant influence over the investments. A Ltda is formed by the signature of public or private articles of incorporation, which defines the basic governing provisions and the relationships between the quota holders and managerial body. The entity's articles of incorporation should contain clear provisions on voting rights, management powers and transfer of capital quotas. The entity's name should be followed by the word 'Limitada' or its abbreviation 'Ltda'. It is usually a more complex procedure to establish and maintain an SA than a Ltda, although ownership and management control and transfer of participation are more flexible in an SA. There are no non-corporate entities in Brazil and for the interpretation of treaties to avoid double taxation on income Brazil always considers any entity as a corporate entity, including all kind of permanent establishments. As mentioned, the IRPJ is a federal tax levied on the accounting profit adjusted by certain non-deductible items and non-taxable revenues, as stated in the tax legislation (actual taxable profit method). Generally, the taxpayer calculates income tax on a quarterly basis. Alternatively, for the actual profit method, an annual calculation may be selected. Under the annual regime, monthly payments should be made (in advance) calculated on the monthly gross revenue or on the accumulated taxable income (book profit adjusted by non-deductible items and non-taxable revenues). Some expenses may be deducted from the income tax basis. A few examples of deductible expenses are ordinary and necessary business expenses paid or incurred in conducting the business, lease or rental expenses, depreciation and amortisation, taxes and related fees or contributions, and any other cost effectively related to the production or commercialisation of goods, products or services. Except for land, which is not depreciable, depreciation of property, plant and equipment is an allowable deduction. Amortisation of goodwill that arises as a result of accounting for investments in subsidiary and associated companies is deferred for taxation purposes. Law4 defines goodwill as it is defined in international financial reporting standards (IFRS) norms, so it will not be calculated in the same way as it was in the past, where it was a simple difference between amount paid in acquisition of an investment and the equity value of the investment. Presently only amounts paid in acquisition of investments that surpass the fair value of the entity assets individually considered are allocated as goodwill for future amortisation. Amortisation of patents, trademarks and copyrights is a deductible expense. Royalties received in relation to patents, trademarks and copyrights are a deductible expense within approved limits that vary from 1 per cent to 5 per cent of gross revenues related to the products and services with the protected intellectual property. Profits are usually calculated on accrual basis of accounting. After the adoption of international accounting standards, and a period of four years with a special accounting GAAP exclusively for tax purposes, Provisional Measure 627/13, converted into Law No. 12,973, was enacted on 14 May 2014,5 regulating the taxation of profits calculated with IFRS accounting GAAP. Law No. 12,973/14 harmonised the rules that govern federal taxes with the new accounting criteria introduced by Laws No. 11,638/07 and 11,941/09 (IFRS). A foreign corporation is only subject to Brazilian tax when it directly derives income from Brazilian sources. However, services rendered to Brazilian residents are considered as income derived from a Brazilian source. Capital profits are taxed as ordinary income for Brazilian companies. Since 1 January 2017, after the enactment of Law 13,259, capital gains on payments from a Brazilian source to foreign individuals or foreign corporations started to be taxed at a progressive rate of 15 to 22.5 per cent, depending on the total amount of the gain. This also applies to capital gains referred to transfers of Brazilian assets between non-residents. Before that, these capital gains were taxed at a 15 per cent rate. Dividends are exempt unless they are paid as interest on capital (JCP), when a 15 per cent rate will apply. Tax losses may be extinguished in certain situations, for example when a company cumulatively undergoes a change in control and its business activity, or as a result of split-offs or mergers and may not be used in the surviving company. As from 1 January 1996, tax losses should be segregated into operational and non-operational for offset purposes. Non-operational losses can absorb only the non-operational profit for the calendar year, respecting the 30 per cent limited of adjusted net profit. Losses carried forward can be accumulated for an unlimited time, but the deduction of losses is limited to a maximum 30 per cent of taxable income per fiscal year. IRPJ is levied at a rate of 15 per cent (plus a 10 per cent surcharge), and CSLL at a rate of 9 per cent. Special rates apply accordingly to taxpayer activities, for example, 20 per cent for financial institutions that was introduced by Law 13,169/15 and is applicable to income generated since September 2015. PIS and COFINS are federal social taxes, levied at a rate of 0.65 per cent (cumulative) or 1.65 per cent (non-cumulative), and 3 per cent (cumulative) or 7.6 per cent (non-cumulative), respectively. They are calculated as a percentage of the monthly gross revenue after certain deductions and exclusions. It is possible to offset certain credits on inputs and some other expenses, according to the applicable legislation (non-cumulative). COFINS and PIS are deductible for corporate tax purposes. COFINS and PIS are also levied on the import of goods and services from abroad (tax credits are allowed). With very few exceptions, the taxes due are usually calculated by the taxpayer and paid on a periodical basis, likely monthly or quarterly. All corporate entities are supposed to file electronic tax returns. In fact, it is the government's aim for all accounting records to be notified in a federally managed system called the Public Digital Bookkeeping System (SPED). Since 2014, the traditional income tax return has been replaced by an electronic tax return incorporated into the SPED: the Tax Account Book (ECF). In Brazil, taxpayers are requested to present several different tax returns electronically, and the tax authorities are able to cross records to obtain information from activities of all taxpayers, which has reduced tax evasion. The Brazilian tax system is primarily governed by the Federal Constitution and the National Tax Code (CTN). These contain all general provisions, definitions, competences and procedures concerning the tax system. The CTN is of general application and must be observed by all authorities within the Brazilian territory, including federal, state and municipal. There are federal taxes (e.g., income tax, IOF – see below, PIS and COFINS), state taxes (e.g., ICMS) and municipal (e.g., ISS), which will be described below. Taxpayers are allowed to formulate questions for the Federal Revenue to obtain guidance as to the correct tax treatment and other queries they may have. In the same way, taxpayers may challenge any notices of tax assessment if they do not agree with their terms. An administrative litigation procedure deals with disagreements of taxpayers with tax assessments made by the tax authorities. Besides the administrative litigation procedure, taxpayers may submit their disagreements directly to judicial courts, at any time, observing the legal time limitations. The concept of tax grouping does not exist under Brazilian law; entities are taxed individually and for some taxes each establishment is considered a separate taxpayer (e.g., ICMS). Excise tax (actually a federal VAT) on the manufacturing of products (IPI) is levied at various rates on industrialised products when sold or transferred by the industrialising establishment even if industrialisation is incomplete, partial or intermediate. IPI is also levied on imports at the same rates as on Brazilian-made products. IPI tax rates range from 5 per cent to 20 per cent, with some exceptions subject to higher or lower rates. Import duty (II) is generally levied on an ad valorem basis on the cost, insurance and freight value of the product. The invoice value is usually taken as the basis for determining the normal price, but in order to protect local products or to tax non-essentials heavily the Tariff Policy Council may establish minimum import values or base prices or apply specific tax rates. As a general rule, the tax rate is around 2 per cent to 14 per cent, with some exceptions subject to higher or lower tax rates. Financial operations tax (IOF) is levied at varying rates on loans and credit transactions, securities transactions, certain foreign exchange transactions and insurance policies. It is added to the cost of each transaction. Also levied at varying rates on income earned from certain short-term financial investments, the tax must be withheld by the financial institution from the investor. Both companies and individuals are subject to IOF. Companies that pay royalties fees and technical services fees to foreign parties are subject to contributions to the economic intervention domain calculated at a 10 per cent rate based on the amounts paid, credited, delivered, used or remitted to the non-resident beneficiary. Value added tax on sales or services (ICMS) is levied on sales or physical movement of goods, on freight, transportation and communications services, and on electricity, normally at the rate of 18 per cent or 19 per cent for intrastate transactions and 7 per cent to 12 per cent for interstate transactions. In some states certain products are exempt. This tax is also payable on almost all imports at 18 per cent to 25 per cent, but most exports are exempt. The importation of services or services rendered locally are taxed by the municipalities (by a service tax, or ISS), at rates varying from 2 per cent to 5 per cent, with the exception of services related to freight, transportation, communications and electric energy, which are subject to ICMS. A corporation is considered as resident in Brazil if it has been incorporated in Brazil. Its tax domicile is where its head office is located. No foreign corporation may carry out permanent activities in Brazil other than through a registered subsidiary, branch, or permanent establishment. A branch is considered to be a permanent establishment as it is an agent who has powers to bind an overseas principal contractually. Each tax treaty should be consulted for further details and definitions of permanent establishment, but in Brazil a branch depends upon public authorisations and the qualification as a permanent establishment will be treated as irregular activity in Brazil if it is not registered as a branch. Brazil grants no special tax regimes for entities' operations outside the country. There are no special holding company regimes for receipts of non-local dividends or income. Despite the fact that intellectual property is a concept thoroughly protected by Brazilian laws and that Brazil has signed many international treaties regarding this matter, Brazilian laws do not entail any special IP tax regimes. Some Brazilian states grant ICMS exemptions on the import of fixed assets for industrial plants where there is no comparable equipment produced in Brazil. Apart from that, the Manaus Free Trade Zone (ZFM) is an industrial and commercial centre implemented by the Brazilian government in the 1970s to stimulate economic production and social development of northern Brazil. The ZFM has many tax incentives as well as low or no customs rates. Brazilian government provides a few special regimes and tax incentives for certain areas, including the following. REPETRO SPED7 is a federal special tax regime for the importation and exportation of specific goods or equipment used in the exploration and production of oil and natural gas activities into the Brazilian territory and, generally, grants the full exemption of federal taxes on imports (i.e., II, IPI, PIS and COFINS). importation or domestic acquisition of raw materials and other inputs to be used on building and packaging applied to activities in the oil and gas industry with the suspension of all federal taxes. Brazilian tax legislation allows legal entities with infrastructure projects in the energy sector approved by the government and by tax authorities to claim a tax benefit on the acquisition of fixed assets. Pursuant to a formal application, an exemption may be granted from PIS and COFINS, and also from PIS and COFINS on imports on the acquisition of fixed assets on domestic and foreign markets respectively. Companies can benefit from this tax incentive for five years after the approval of the infrastructure project. Under Brazilian domestic tax law, dividends distributed to resident or non-resident beneficiaries (individuals or corporate entities) are exempt from withholding tax. Other payments made by Brazilian entities to foreign entities generally trigger Brazilian withholding income tax at a 15 per cent rate or 25 per cent rate (unless a lower tax treaty rate applies). The rate is increased to 25 per cent if the foreign entities are domiciled in a 'tax haven' jurisdiction (income rate below 20 per cent). If a Brazilian company decides to pay JCP to its shareholders instead of dividends, 15 per cent withholding tax will apply. There are no exemptions regarding the elimination of the withholding taxes due, except for the remittance of dividends, which is tax-exempted under Brazilian law. Relief from double taxation is available if a treaty exists between Brazil and the country from which foreign-sourced income is generated or if reciprocal treatment is applicable. In general, treaties cover only corporate and individual income tax and remittance taxes and do not affect the payment of capital gains tax. Each treaty should be consulted to determine the method of eliminating double taxation: tax credit or exemption. Note that interpretation of tax treaties by the Brazilian judicial courts may differ from international interpretation and must be taken into account before any decision on using a tax treaty for tax-planning purposes. Withholding taxes on dividends was reduced to zero per cent as of 1996. Treaty rates in excess are automatically reduced to zero. The rate for remittances of interest and royalties was reduced from 25 per cent to 15 per cent as of 1996. Treaty rates in excess of this are also automatically reduced to zero. A wide range of credit and financial services is available from an extensive banking and financial network. Financing is also available for foreign-controlled companies. Banking and financial businesses are regulated by BACEN. Loans from the BNDES are also very common. Until recently, there were no statutory provisions for maximum debt-to-equity ratios of Brazilian companies (thin capitalisation rules). The deduction of interest on debt deemed excessive could be challenged by the Brazilian tax authorities on the basis that the debt transaction was not necessary to the core business activities of the Brazilian company. In this case, one of the general deduction requirements provided for under Brazilian tax law would not be complied with. This situation was modified in December 2009. This new legislation targeted to avoid tax evasion resulting from 'interest stripping', which was deemed to occur when a Brazilian company paid interest on 'excessive' debt transactions entered into with certain non-Brazilian creditors. Whereas interest paid on such debt may be taxable by withholding income tax at the rate of 15 per cent, or, at most, 25 per cent, this interest may be deductible from the taxable basis of the IRPJ and CSLL, which represents tax savings of 34 per cent over such amount. is a resident of or domiciled in a 'tax-favourable jurisdiction', or in a 'privileged tax regime'. debts with corporates domiciled in a 'tax haven' jurisdiction or countries with favoured taxation, regardless of whether they are linked: maximum debt-to-equity ratio of 0.3:1. All interest and financial charges paid or accrued during the taxable year are generally deductible, including those from foreign entities. However, interest paid to entities domiciled in tax haven jurisdiction (black-listed) or foreign entities with special benefit regimes (grey-listed) may incur in excess of debts and limited of deduction of interest, in accordance with thin capitalisation rules described above. The general rule of necessary expense applies to financial expenses. For example, the deduction of expenses with interests can be disregarded if a company pays interests in a loan and lend money to subsidiaries with lower rates. There are no rules restricting the payment of dividends, as long as the investment in registered within the Brazilian Central Bank. Without the registration some restrictions may apply on remittance of the dividends abroad. Equity capital can be repatriated. Dividends, as mentioned before, are not subject to any taxes. Interest, capital gains on sale of shares or quotas, and some other remittances are generally subject to 15 per cent income tax rate or lower treaty rate. Some outflows of foreign currencies require prior Brazilian Central Bank permission. The first thing to be done upon starting a business in Brazil is to register with the CNPJ. As starting a company in Brazil is a relatively slow process, some companies sell local 'shelf companies', which is perfectly legal in Brazil. These shelf companies have a valid CNPJ registration, as well as all other registrations required to start a company. No taxes are due at the federal level on the value of a company at incorporation. Entities are allowed to merge or demerge as they wish, as long as corporate rules are respected. It is important to avoid transactions that may be considered fraudulent by the tax authorities. A foreign shareholder or quota holder may liquidate the investment at any time. It should be noted that in order to repatriate investment, the local company must present clearances related to labour, tax and social security liabilities. Several provisions in the CTN prevent taxpayers from availing themselves of beneficial provisions of the law in situations where the principal reasons or one of the primary reasons for their actions is to avoid taxes. Different from the international models, Brazilian CFC legislation applies to all controlled and related foreign corporations (not only those resident in low-tax jurisdictions), regardless of whether they are involved in business activities (therefore embracing any kind of foreign income). Profits will be considered available to the controlling Brazilian company at the time the CFC closes its financial statements at the end of its fiscal year. Any operation involving goods, rights, services and interest on a financial transaction conducted by a legal entity located in Brazil with a related entity resident or domiciled abroad will be subject to transfer pricing rules. Brazilian transfer pricing rules are not the OECD's concern, and basically provide some import and export pricing methods to build a defence file for corporate income tax purposes. 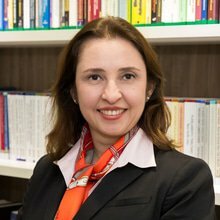 Costs of goods, services and rights acquired from related parties located outside Brazil are deductible items for corporate income tax purposes to the extent that they do not exceed the 'prices' determined in light of one of the transfer pricing available methods. In the event that more than one method is used, the method that provides the greater 'price' for the imported goods should be considered by the Brazilian tax authorities as the acceptable import price. If the import price is equal to or lower than the price determined through one of the methods in question, no adjustment to taxable income is required. On the other hand, if the import price exceeds the price considered to be acceptable under the transfer pricing rules, an addition to taxable income is required. price on quotation at importation method: The prices of imported goods, declared by individuals or entities resident or domiciled in Brazil will be compared with current prices on internationally recognised stock markets and may be adjusted according to the average price. From a Brazilian corporate income tax perspective, exports of goods, services and rights to related parties located outside Brazil require minimum price levels as foreseen in the transfer pricing regulations. A Brazilian taxpayer will be deemed to have appropriate export prices when the average export sales price is at least 90 per cent of the average sales price of the same goods, services, or rights in the Brazilian market during the same period and under similar payment conditions. In the event that the Brazilian taxpayer does not pass the '90 per cent test', minimum export prices determined in light of one of the transfer pricing methods will be required. If the export price is equal to or greater than the price determined through one of the methods in question, no adjustment to taxable income is required. If, however, the export price is lower than the price considered to be acceptable under the transfer pricing rules, an addition to taxable income is required. price on quotation at exportation method: The prices of exported goods, declared by individuals or entities resident or domiciled in Brazil will be compared with current prices on internationally recognised stock markets and may be adjusted according to the average prices. It is not necessary to obtain advance approval from the tax authorities before acquiring a local business. However, in most businesses within the private sector, a tax clearance certificate is required. The past years were marked by the expectation of recovery from the long crisis Brazil has been in since 2014. Despite some reforms that were made, such as on labour law legislation, not all expected reforms for the year have been approved by Congress, such as the social security or tax system reform. Owing to the political crisis Brazil has faced, the reforms have been postponed and now, after the elections, Brazil is optimistic that changes will come. At the moment, economic growth is expected at a slow pace. Nevertheless, a steady recovery after all the recession is keeping the market's mood for today. Brazilian legislation is generally subject to periodic changes and to the courts' interpretations. Brazil is a very prosperous country, although its economy is suffering from the recent political crisis. With all this considered, we hope for a political restructuring and tax reform that may lead the country to a regrowth. Today, Brazil is ranked among the 10 biggest economies in the world, and is likely to continue to be attractive to new investors. 1 Silvania Tognetti is a partner at Tognetti Advocacia. 2 There is a specific entrepreneur entity, called EIRELI, that can be owned by one individual and there are some disputes to interpret that it can be also formed with a company as its single member. 3 The apostilles were implemented with the adoption of the Hague Apostille Convention, which became effective on 14 August 2016, due to the end of the Requirement of Legalisation of Foreign Public Documents in the Ministry of Foreign Affairs (MRE). 4 Law 12, 973/14 resulted from Provisional Measure 627/13. 6 In order to help in the identification of these jurisdictions, Brazil enacted a list (Normative Instruction No. 1,037/10): American Samoa, Andorra, Anguilla, Antigua and Barbuda, Aruba, Ascension Island, the Commonwealth of the Bahamas, Bahrain, Barbados, Belize, Bermuda, the British Virgin Islands, Brunei, Campione D'Italia, the Cayman Islands, the Channel Islands, the Cook Islands, the Republic of Costa Rica, Cyprus, Curaçao, Djibouti, Dominica, French Polynesia, Gibraltar, Grenada, Hong Kong, Ireland, the Island of Saints Peter and Miguelão, the Isle of Man, Kiribati, Labuan, Lebanon, Liberia, Liechtenstein, Macao, Madeira, Maldives, the Marshall Islands, Mauritius, Monaco, the Montserrat Islands, Nauru, Niue Island, Norfolk Island, the Sultanate of Oman, Panama, Pitcairn Island, Qeshm Island, San Marino, Seychelles, Singapore, the Solomon Islands, the Federation of St Christopher and Nevis, St Helena Island, St Lucia, St Martin, Saint Vincent and the Grenadines, Swaziland, Tonga, Tristan da Cunha, Turks and Caicos, the United Arab Emirates, the United States Virgin Islands, Vanuatu and Western Samoa. 7 The Provisional Measure 795 of 17 August of 2017, converted to Law 13,586, recently added a new type of tax benefit – the definitive importation of goods with tax suspension – and has changed the old bookkeeping system and adopted the Public Digital Bookkeeping System (SPED). 8 The word 'weighted' came into use on 1 January 2013 according to Article 78, Section 1 of Law No. 12,715/12. 9 The phrase 'taken by itself or by others interested' came into use on 1 January 2013 according to Article 78, Section 1 of Law No. 12,715/12. 10 Article 38 of Normative Instruction No. 1,312/12.